Advanced Engineering 2017 has announced the show floor features that will be on display during the two-day exhibition and open-conference. It is the only place in the world where you will find, in the one place, a hydrogen-powered car, the latest in aircraft landing gear, a battery made 100% from recycled materials, a ground based test rig and a Libralato hybrid engine to name but a few. 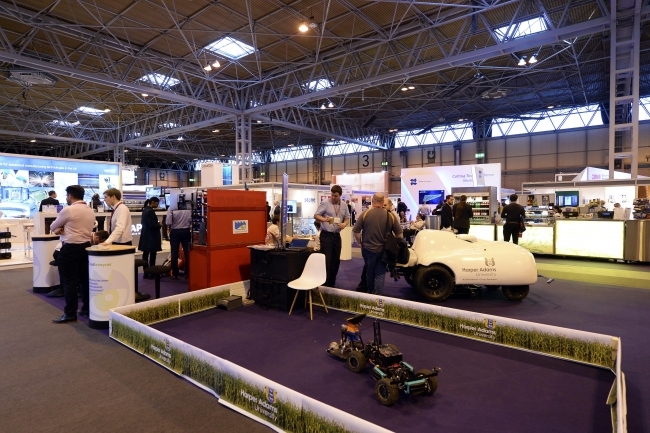 Visitors will see a variety of cutting-edge technology and materials from exhibitors as well as show floor features that will be in various locations around the different zones, providing something for everyone. A battery storage module which is made from 100% recycled materials including repurposed batteries which demonstrates how much energy and carbon savings can be made. Riversimple’s Rasa prototype, which is reportedly capable of travelling 300 miles on a full tank of hydrogen, was designed to be as ecologically friendly as possible. Water is the only bi-product expelled from the exhaust. The vehicle incorporates an interior trim made from recycled plastics bottles and lightweight materials such as a carbon-composite chassis. A Caterham car will be on show that has used Scott Bader’s innovative Crestapol resin, which comes in two forms: Glass reinforced plastic and carbon fibre reinforced plastic. A light, strong and fast car. The car’s tub and chassis weighs only 75kg and the whole car weighs just 540kg, which in turn improves speed and performance. The Rp1’s 550bhp per tonne and 750Nm per tonne are class leading. Although the car is light, Elemental optimised every part and employed cutting edge design, manufacturing and materials technology, to create exceptional structural rigidity and meets FIA side impact standards. A UK made carbon bike with high speed made possible with the use of composite materials. Partnered with Bentley, Gibbs and Boeing, these bikes have been made by experts in aerodynamics. A new kind of rotary engine with a new thermodynamic cycle. It’s is predicted to be the most efficient compact engine in the world; at least as efficient as a diesel engine (c. 40%) using gasoline yet half the size and weight. Rigorous testing and analysis has proven that the engine’s nine-phase cycle is capable of exceptionally high efficiency and low emissions. Contra-rotating, propellers driven by electric motors is thought to be a world first and after being fitted to a test rig, tests were successful and herald the start of a full trials programme. The test bed will be on display. An infinitely variable transmission with individual wheel speed and direction vectoring capability. This new transmission can offer a step change in vehicle performance, economy, fuel efficiency, handling and safety as well as reducing CO2 and noise emissions. A Land Rover using composites processing technology from Cristex, which will show up close the use of visible cosmetic grade carbon fibre. The Morgan Motor Company and University of Wolverhampton announced a partnership in March between the two organisations that will enhance student experience and future product development through motorsport. Alison Willis, Industrial Divisional Director at Easyfairs, the organisers of the exhibition, said: “We’re very excited about this year’s exhibition. With pre-registration higher than this time last year and a wealth of names confirmed as exhibitors and conference speakers, such as Boeing; Nissan; Hexcel and Dassault Systemes, we are set to have two interesting days! The show is the place where the UK supply chain meets face-to-face with engineering management, spanning: process, control and plant industries; R & D; design; test; production & procurement from OEMs, integrators and top tier industry players within multiple industries. 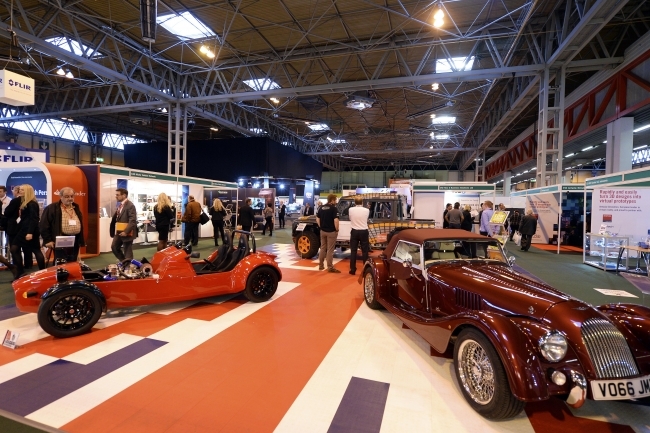 It takes place on 1&2 November at the NEC, Birmingham. Advanced Engineering 2017 is newly ‘Continuing Professional Development (CPD)’ – accredited for this year, by the CPD Certification Service. Recognised by employers, and which complements the policies of professional institutes and academic bodies, it also acknowledges the effective professional development visitors of the conference can gain. Visitors will broaden their knowledge around the various advanced engineering sectors and the interesting and technical topics that will be discussed. Now in its ninth year, the show is set for record breaking visitor numbers, bringing together over 600 firms – all looking to source, specify and invest in the most up-to-date products and explore the latest industry innovations. For more information on Advanced Engineering, or to secure your free ticket for the show, visit: www.advancedengineeringuk.com. Find regular updates on Twitter via #AEUK17.